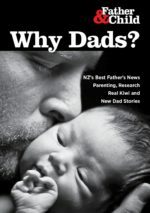 Chch Dads with Young Kids: Get Involved! Help us start some playgroups around town. More here. Father & Child has five spaces available at the moment in our free correspondence parenting course for dads who find it difficult to attend other courses. The 10-module course covers child development and parenting from babies through to teenagers and can be done as a whole or in parts only. Email us for info.